He was also partly responsible for splitting the garage genre in half after he found out that “Closer Than Close” (performed by Rosie Gaines) was a Speed Garage anthem in England in the early 90’s. He stopped playing the record in protest and therefore US Garage and UK Garage was born. 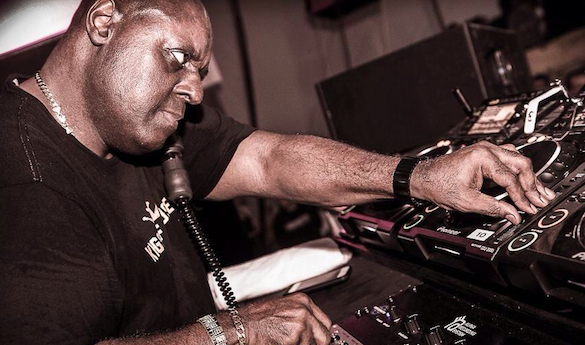 There is no doubt that Tony Humphries has earned acknowledge and respect in the culture and is truly a house-hold legend. He also is known as the Godfather of the New Jersey sound to most. Today he runs Tony Records. 1) Hey Tony, thanks for taking time out with us, how are things? What are you doing right now? Not a problem. Things are going pretty well right now. Just did South Port Weekender 50 in England then saw an incredible concert by the group “Belizbeha” in Burlington, Vermont. Right now I just returned from doing the StereoBar Club in Montreal Canada, next to do “Kings Of House” in NYC with Little Louie Vega & David Morales at the Sankey’s club. Nice to be back after 3 years since the event first started at Webster Hall. 2) We are here to talk about the your latest 2 track EP; “HouseWork” – apart from the occasional remix, its been a while since we last saw a release from you. How does it feel to be back in the studio? Feels great! 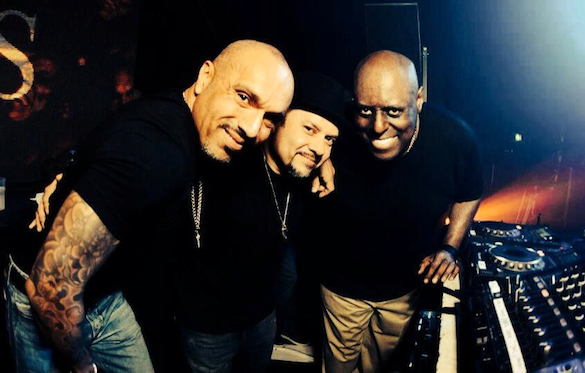 It started last year at the WMC, 3 Kings party in Miami when Frankie Knuckles asked me to Remix “Let’s Stay Home” – Frankie Knuckles, Director’s Cut, Inaya Day. Then “Hostile Takeover” – Soulful Session, Lynn Lockamy, then “You And I” – Nina Lares & Housework earlier this year. 3) The “HouseWork” release artwork seems to represent a hotel montage to the things you carry on your travels – as an artist and DJ, name the three touring essentials you simply can’t do without? 4) We’re loving the throw back jersey gospel feel of “Oh Adam”, in a way this vibe sort of encapsulates the Tony Humphries sound… What inspired you to create this track? Wheeler del Torro, food anthropologist and pop up hotelier, reached out to me to create a soundtrack for his latest series of Bon Vivant Hotel pop up installations. Since his menus follow an Afro-Caribbean theme, he also wanted to extend to his guests’ the auditory experience with related music during his show. The Housework EP infuses house with the songs that birthed gospel and blues – work songs from the days of slavery. The call and response elements of “Oh Adam,” and the reinterpretation of “Charlie Sez” are reminiscent of Southern front porch songs. 5) Growing up, who / what were some of your inspirations as a DJ and as an artist? First the single most important mobile DJ to come out of the US was Jonathan Cameron Flowers, also known as Flowers, and later, Grandmaster Flowers. His importance lies in the fact that it was he, who gave birth to the mobile DJ as a movement. Flowers hailed from the Farragut Projects in Brooklyn, New York. After him there was Pete DJ Jones, Maboya, Plummer. After the mobile movement there were many others. I learned to broaden my set with different music tempos, ranging from slow almost ballads to frantic electronic tracks, from David Mancuso at a venue call The Loft (99 Prince St.) in Manhattan. I learned the style of ‘overlay mixing’ blending an instrumental song with a vocal lyrical song placed at a bit lower volume, from DJ Charisma Robinson (RIP), DJ David Todd from Philadelphia (RIP), and DJ Tee Scott from Brooklyn. I also learned how to create vocal delay effects utilizing a reel-to-reel tape player from Scott. This time period was before electronic samplers were affordable, and common gear for beginner DJ/Producers. 6) How would you describe the “Jersey Sound”, has it changed over time, and if so, how? In 1989, during NYC’s New Music Seminar Movin’ Records owner Abigail Adams, in association with Shelton Hayes and Club Zanzibar created “Jersey Jams”. It was a special dance music event that featured unsigned recording artists and some of Jersey’s hottest dance music stars. That event received major coverage in the entertainment section of NJ’s Star Ledger, various dance music publications such as Vanity Fair magazine. It was after this event that the coined phrase “The Jersey Sound” started to grow. No, it hasn’t changed, it’s actually has gotten better with the current success of those artists and producers. Such as Blaze, Kerri Chandler, Kenny Bobien, Sybil, Stephanie Cooke. 7) What club in today’s experiences can you compare to the infamous Zanzibar? And can you name 1 with a system that can compare… ? 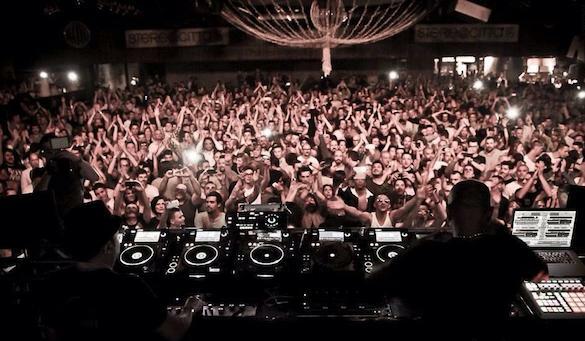 The sound system used for all our “Kings Of House” events such as Urban Klub in Treviso, and Ministry Of Sound in London. Notables were Room 26 in Rome Italy, Club Gold in Tokyo Japan. Similar sound, feel and visual is Sugar in Baltimore MD. 8) With dance music becoming pop music here in America, do you see any similarities to the “Disco” era ? And if so – what can we learn from it.. ? I personally don’t see any similarities. 9) What releases do you have coming up on Tony Records? On the R&B tip “I Want You” by Two 4 Soul feat. Chelsea Como. 9) Who are some of the NEW artists you follow at the moment? 9) What formats do you use to DJ right now (Traktor, CD, USB etc.) ? 9) Do you miss the “good ol’ days of vinyl and acetates? Or, are things better now? Yes, I’ll always miss the analog sound and the warm feel of live instruments. Also the camaraderie amongst influential DJ’s to actually break songs and artists simultaneously. DJ breaking power has become antiquated, selfish, fragmented. Hopefully it will return. 9) Who’s gonna win the World Cup? 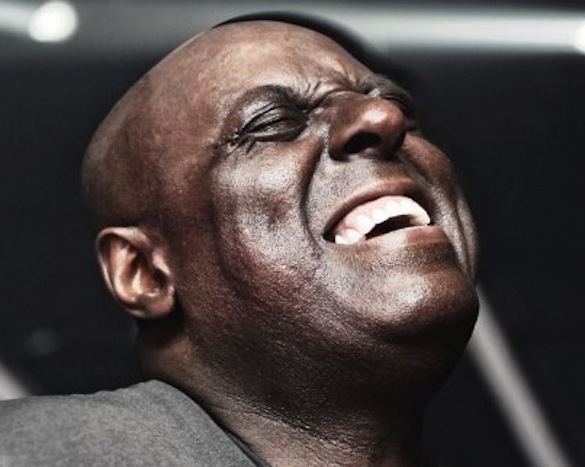 Tony Humphries latest release ‘Housework’ is out now on Traxsource.